For the sake of completeness we would still rate it as the winner against the Pro 3000, but in reality there are better options for you to consider. The closest equivalent to the 1000 in the UK is the Pro 600. 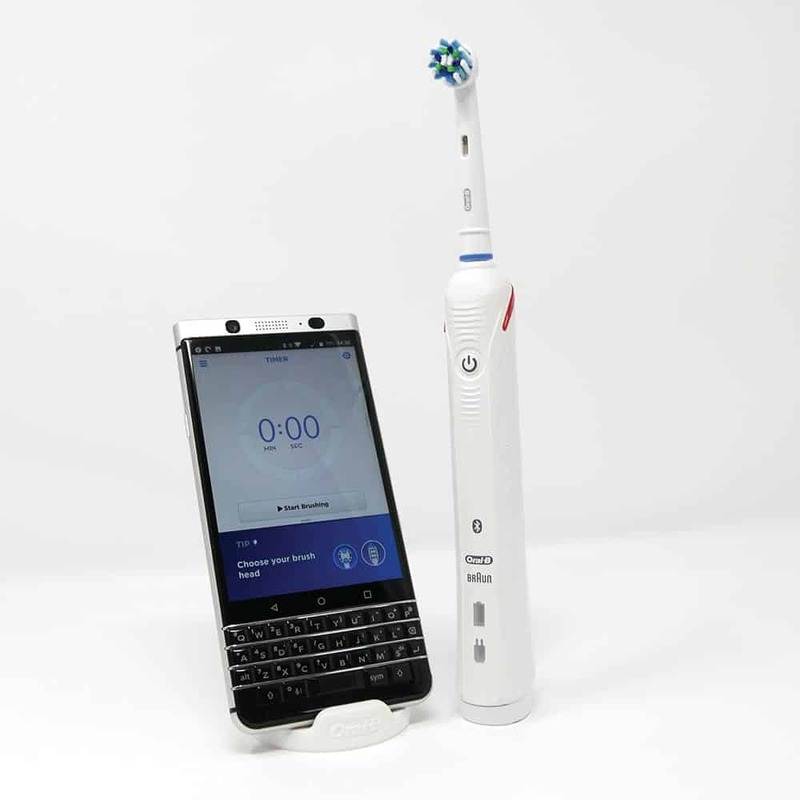 Therefore, you’re better off considering that, or the brush that sits between the 600 and the Pro 3000 in the Oral-B range: the Pro 2 2000. The Pro 3 3000 brush featured in this comparison has been replaced by a new upgraded model. The Pro 3000 mentioned in this comparison is the US version too. 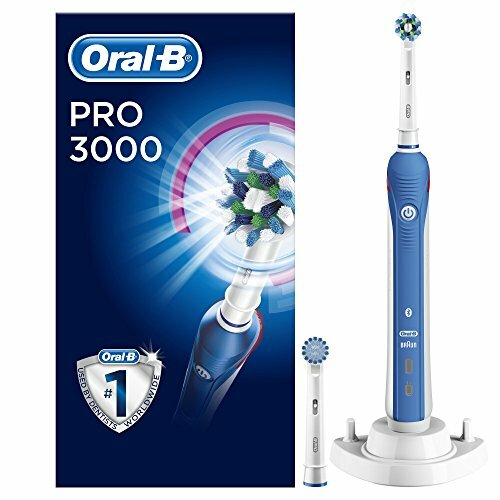 There is a UK variant of the Pro 3000 which is very similar but does have a different box contents. Do be aware of this when purchasing the 1000 or 3000 (if US model) the power adapter supplied will not be correct for UK sockets unless an adapter is provided by the seller. You would not have this issue with the Pro 600 and UK variant of the Pro 3000. If you are a UK based reader then we actually have a video comparison of the UK models available here. Either brush head can be used on any of the cleaning modes on the rush, but some work better with others. This article here explains how some are suited to particular cleaning modes, whilst this article looks specifically at the brush heads themselves in more detail. Bluetooth is not a new technology, it has been around for many years and allows devices to connect wirelessly with one another. 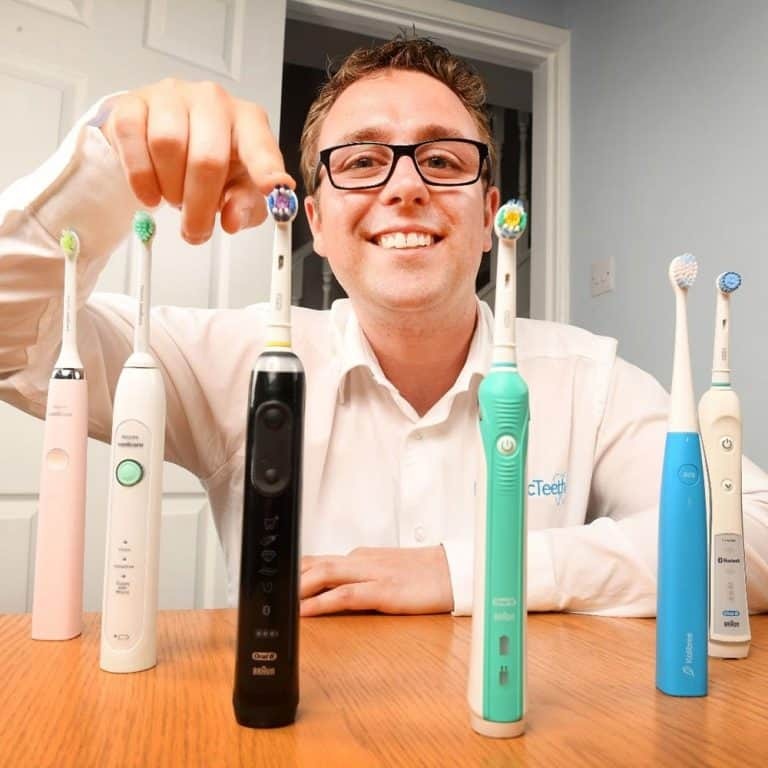 The electric toothbrush market is still relatively new to such but it is fast growing in adoption. There is a guide to this available that explains Bluetooth connectivity. As mentioned earlier the 1000 and 3000 compared here are not UK models. There is a UK variant of the 3000 and the 1000 equivalent is the Pro 600. The 3000 is better value in the UK than the USA. At the time of writing there is just under £10 difference and I would expect this to remain such unless there is a particular promotion on. We have reviewed each brush in depth (links at the end of this post) and at the time of writing they worked out at £0.06 and£0.07 per day to own, over the course of 3 years based on one user. All things considered, the 1000 or the Pro 600 for UK readers is still my preference. Unless you want or need extra features, then you should opt for the Pro 1000 or the Pro 600 for UK readers. Alongside the 600, you may also like to consider the Pro 2 2000. Holy cadaver dog…Thanks for the very in-depth write-up. My wife wants a new electric toothbrush. We’ve got the 7 dollar jobs and I think they work just fine. I AIN’T paying more than 50 bucks. How can a toothbrush company get away with so many styles of handles, brushes, modes, etc., and still be credible? It’s a toothbrush. You’ve just got to use it to have it do any good. You don’t need to spend $50 to get an electric toothbrush, in some cases a $7 brush will do the job. However, spending a little more can often get you some very useful features such as a timer and better cleaning action from the brush, which I put a lot of value on. For around $50 you can get a very good brush that will suit the vast majority. Heck if you want you can spend a couple of hundred dollars on a brush. The confusing range of brushes I guess helps them make more money, as many think spending more will mean a better toothbrush and a better clean, which sadly isn’t quite true.